Nubia has been in the smartphones market for about 6 years. Its flagships line comes with a letter of ‘Z’ and it is known as Mavericks. There are many models carrying this brand, but it went viral when the Z9 and Z11 were launched. On April 11, the company released the Mavericks 9 aka Nubia Z18 mini. (The rest eight models are the Z5 mini, Z5S mini, Z7 mini, Z9 mini, Z11 mini, Z11 miniS, Z17 mini, Z17 miniS.) Tomorrow, this phone will go on sale at a starting price tag of 1799 yuan ($284). It’s set for the 6GB+64GB version, while the 6GB+128GB version costs 2099 yuan ($334), and the Provence version costs 2199 yuan ($350). The previous Z-series models have been known for their stylish look. The Nubia Z18 mini is no exception. The phone uses 3D curved glass on the back that passes through multiple manufacturing processes to provide a perfect touch feeling. It still uses a much-popular nubiArc design that provides an excellent grips experience. Generally, there are five color options including Glacier White, Diamond Black, Celadon Blue, Ying Ying Powder aka Rose Gold and the Limited Provence Edition which is purple in color. 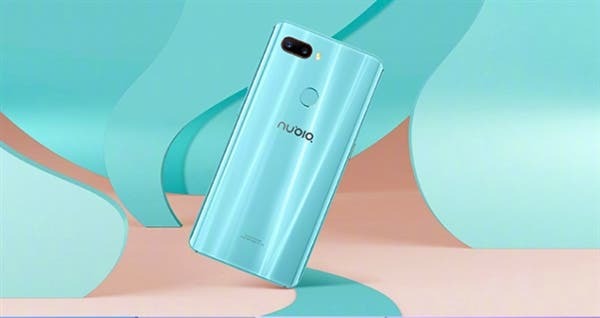 As for configuration, the Nubia Z18 mini sports a 5.7-inch screen with an 18:9 aspect ratio and a resolution of 2160 × 1080 pixels. The display also comes with the parameters of 450nit brightness, 1500:1 ratio, 428PPI pixel density, 2.5D arc glass, 180 degrees of viewing angle, and In-Cell technology. 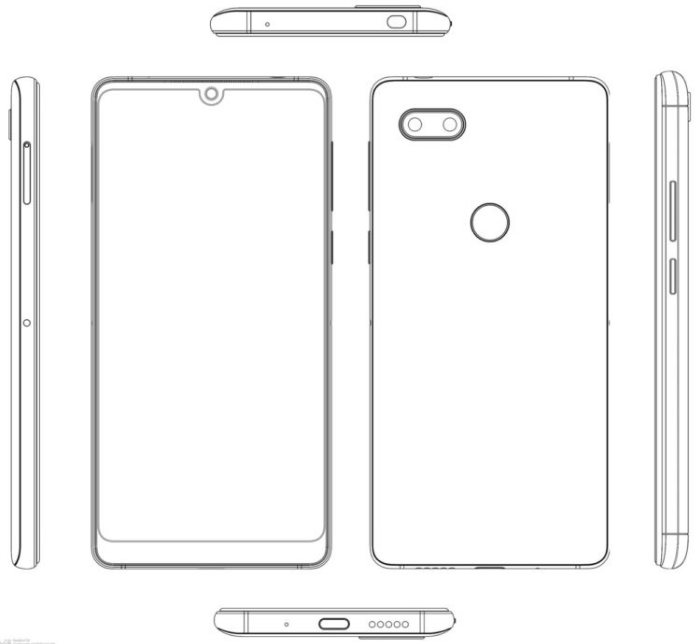 Thanks to the full-screen design, it has dimensions of a 5.2-inch handset. Though it is not packed with the SND845, the Qualcomm Snapdragon 660AIE with a neural network acceleration chip is quite capable of handling any task you set. The SoC is coupled with a 6GB of RAM, 64/128GB of internal storage, Adreno 512 graphics, and 3450mAh battery supporting NeoPower power-saving technology. 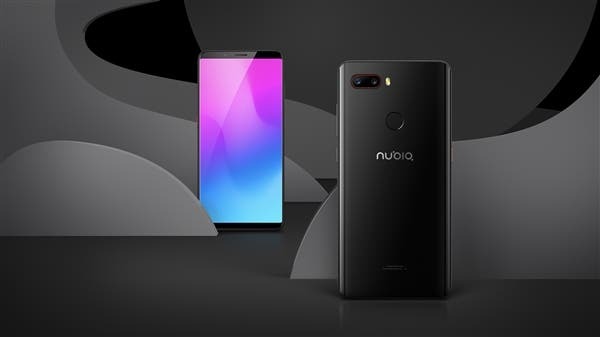 The smartphone runs on nubiaUI based on Android 8.1. There is a pre-loaded exclusive Maverick voice support. By sending voice commands, the system will intelligently find contacts or open applications based on instructions. Plus, it supports voice commands to transfer text in real time. Besides the appearance and powerful hardware, the previous-gen models have come with strong shooting capabilities. The company continues this strategy and put a 24+5MP dual-camera on the back. It comes with an aperture of f/1.7, PDAF phase focus and white contrast focus support at a 0.1-second focusing speed. There is a Spectra ISP that provides an excellent photo shooting in all conditions. On the front, it features an 8MP camera with a f/2.0 aperture and AI algorithm supporting smart beauty.